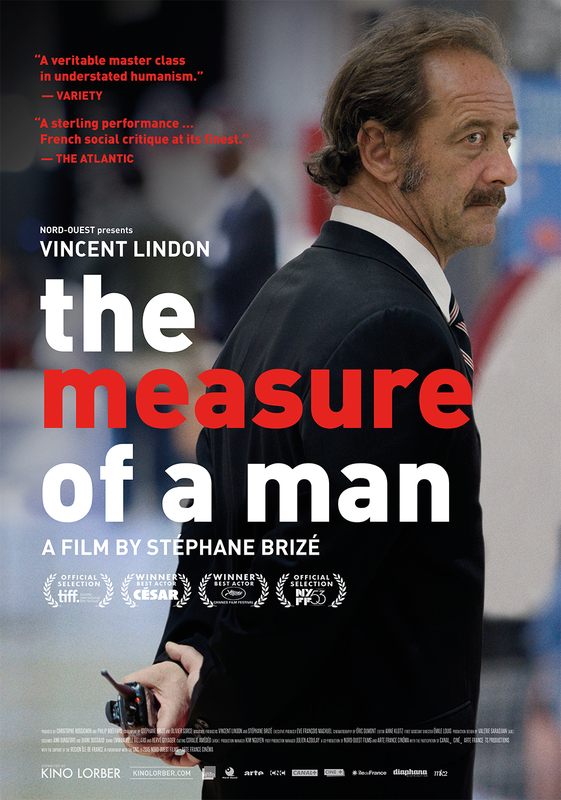 Review | "The Measure of a Man"
Stéphane Brizé's The Measure of a Man sort of feels like something you might miss if you blink. It's a work of such subtle power, it's dramatic weight so imperceptible, that you almost don't realize what it's doing to you until the final shot. Much of that power is due to Vincent Lindon's beautifully understated performance as unemployed, working class family man, Thierry Taugourdeau (Vincent Lindon), who has been out of work for months and is barely scraping by on a €500 a month unemployment check. Angry that his skills are getting him nowhere, and that unemployment continuing education classes have been useless, Thierry becomes increasingly desperate for work, eventually accepting a position as a loss prevention officer at a soulless corporate big box store. At first the job seems straightforward - catch people shoplifting, apprehend them, and hopefully settle the conflict by getting them to pay rather than calling the authorities. But soon Thierry realizes that his job is more than just catching petty thieves pocketing phone chargers on their way out of the store, he's also being asked to keep tabs on the employees as well. Management, it seems, is looking to downsize the company, and rather than making cutbacks elsewhere, they ask loss prevention to monitor the employees and report on even the tiniest infractions. This puts Thierry in a moral dilemma - is he willing to sacrifice the jobs of others in order to preserve his own? Is he willing to put people in the very situation he just climbed out of in order to provide for his own family? It's a disquieting question, one for which Brizé provides no answer. Brizé directs with a kind of unobtrusive, observational naturalism reminiscent of Jean-Pierre and Luc Dardenne. He allows Lindon's performance to carry the film, the moral weight of his choices forming the core of the film without ever drawing attention to themselves, until Brizé hits us with the chilling implications of his dilemma in the film's final moments. Even then, there is a certain sense of the mundane to the moment - this is just another day at the office for Thierry. This is his life now. But at what cost? He has sold his soul to the devil, and he may not even know it. In The Measure of a Man, it is the small choices that make you who you are. Just doing your job may not feel like anything wrong, but at what point will the small chips in your moral fabric finally break you? It's all written on Lindon's haunted face, but Brizé wisely leaves it to the audience to decide - he presents us with an unassuming but surprisingly sharp moral quandary, a nagging question of honor that's hard to shake. THE MEASURE OF A MAN | Directed by Stéphane Brizé' | Stars Vincent Lindon | Not Rated | In French w/English subtitles | Opens today in select cities. Blu-Ray Review | "Arabian Nights"
Blu-Ray Review | "Bicycle Thieves"